Haggerty Pest Service, Inc. is a contractor based in Boca Raton, FL. 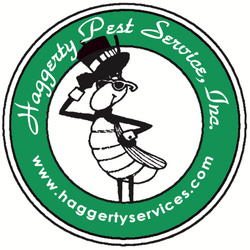 We don't have any additional information about Haggerty Pest Service, Inc.. I am likely to recommend Haggerty Pest Service, Inc. to a friend. Haggerty Pest Service, Inc. left the job site clean. Haggerty Pest Service, Inc. communicated with me effectively. Haggerty Pest Service, Inc. remained professional throughout my project. Haggerty Pest Service is really trustworthy. I've used them for years. I'm not worried about them being in my house. They do the job they say they're going to do and they always follow up. Haggerty Pest Service provides excellent service. I have used them for as long as I can remember. I've trusted Haggerty Pest Service, Inc. for 30 years. They do excellent overall service. I have been using them for over 20 years. They are wonderful. They always come out when they say they are going to come out. 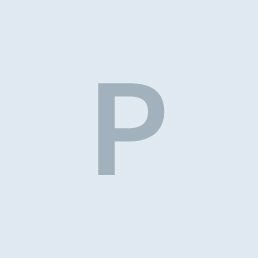 I think they're honest and do their work well, which is a big deal in today's world. We have been dealing with them for a really long time and have never had any problems. We have been very pleased with Haggerty Pest Service, Inc. The service is good, prompt, and punctual. They are good people to work with. I am very pleased with their services. Haggerty Pest Service is very helpful and nice. I always feel comfortable asking a question and receiving an answer. I was perfectly satisfied with them. I have used Haggerty Pest Service, Inc. for 10-12 years, and they are all so nice! I know them personally. I know Frank and they are all wonderful. I am very, very pleased with it all! Haggerty Pest Service, Inc. was friendly, nice and always on time. I would definitely recommend them to a friend. WE MOVED TO OUR HOME 11 YEARS AGO AND ONLY HAD HAGGERTY'S PEST SERVICE. THEY ARE EXCELLENT .